Kim Jong-il (born: Yuri Irsenovich Kim; 16 February 1941 – 17 December 2011) was the supreme leader of North Korea (DPRK) from 1994 to 2011. He succeeded his father and founder of the DPRK Kim Il-sung following the elder Kim’s death in 1994. Kim Jong-il was the General Secretary of the Workers’ Party of Korea, Chairman of the National Defence Commission of North Korea, and the supreme commander of the Korean People’s Army, the fourth-largest standing army in the world. In April 2009, North Korea’s constitution was amended to refer to him implicitly as the “supreme leader”. He was also referred to as the “Dear Leader​”, “our Father”, “the General”, and “Generalissimo”, among others. His son Kim Jong-un was promoted to a senior position in the ruling Workers’ Party and is his successor. In 2010, he was ranked 31st in Forbes Magazine’s List of The World’s Most Powerful People. 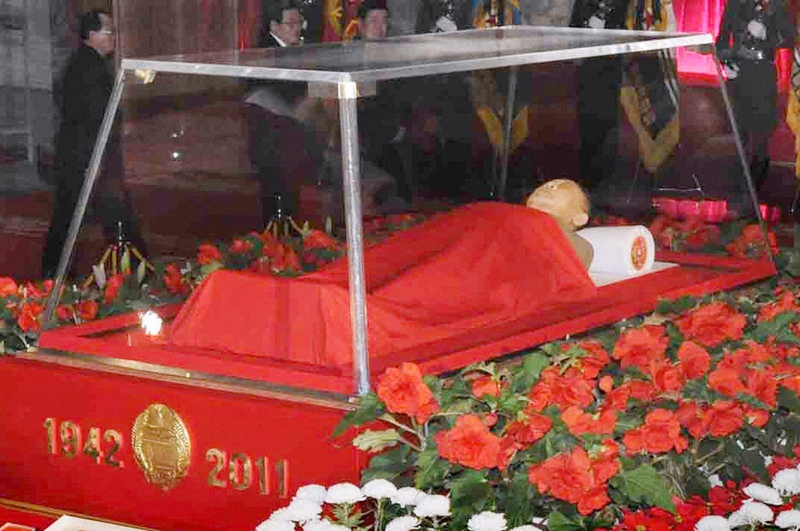 The North Korean government announced his death on 19 December 2011.